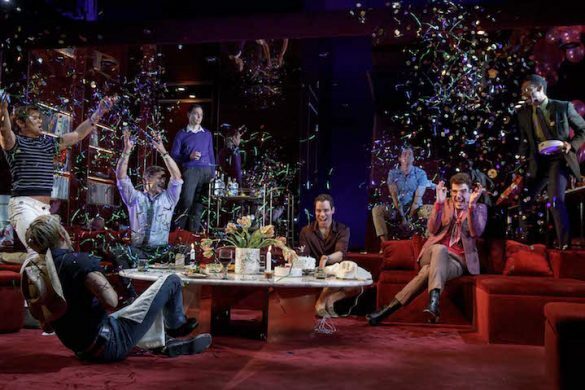 Home Buzz	Debra Monk’s B-Day Celebration Raises $140k for BC/EFA! 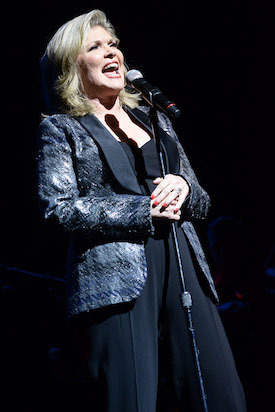 Tony Award winner Debra Monk turned her 65th birthday into an all-star party with her closest friends on Monday, February 24, 2014, delivering a non-stop evening of rock, pop and laughter produced by and benefiting Broadway Cares/Equity Fights AIDS. The concert, billed as “Totally Hot and a Little Dirty,” raised $140,355. Debra Monk (photo: Monica Simoes) via The Broadway Blog. Debra Monk Birthday Bash (#debrabday) featured the beloved stage and screen star singing, dancing and even playing drums on a musical journey that included everything from Van Morrison to Prince and Elton John, as well as two encores by the legendary Broadway songwriting team of Kander and Ebb. The one-night-only performance lived up to its promise with an exciting mix of rock ‘n’ roll, country and even gospel, interspersed with a stream of Monk’s favorite dirty jokes. Joining Monk for the special evening were her close friends Charlotte d’Amboise, Brandon Victor Dixon,Scott Ellis, Victor Garber, Andrea Martin, Jim Newman and Ron Rifkin, with a surprise appearance byDavid Hyde Pierce. The concert ran the gamut from sentimental moments, like Monk and Garber sharing the spotlight for a touching rendition of “You’ve Got a Friend,” to outrageous ones, like the seductive take on “Let’s Get It On.” That number started with Newman serenading Monk, only to be joined by lingerie-wearing d’Amboise and Martin, who slithered onto the stage and ultimately into a comical foursome with Monk and Newman. 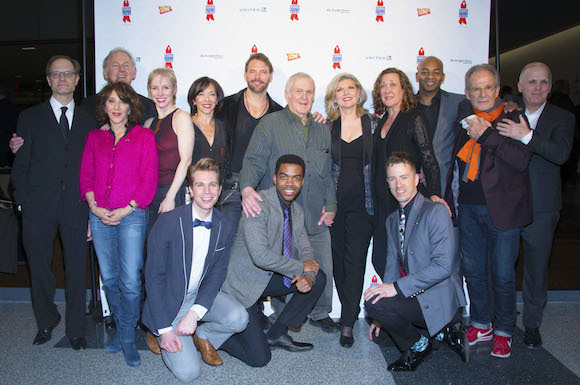 The cast of Debra Monk’s 65th birthday celebration (photo: Monica Simoes) via The Broadway Blog. To the surprise of many in the audience, Monk demonstrated a prowess on the drums, a favorite pastime of hers. Sticks in hand, Monk worked the drumsticks through “Purple Rain,” “Real Man” and her finale, “The Theme from Exodus,” which concluded with a deadpan Pierce walking on stage to perform the final cymbal crash. Throughout the evening, Monk featured her back-up singers, which she dubbed “The Totally Hots” – JoeGrandy, Chuck Ragsdale and Julius Thomas III – and a 10-piece band. Debra Monk Birthday Bash was directed and choreographed by JoAnn M. Hunter with music direction byMary-Mitchell Campbell and David Gardos. Lighting design was by Jamie Roderick; sound design byBrian Ronan. The concert was held at the Gerald W. Lynch Theater at John Jay College in New York City. Monk, a fixture on stage and screen, has been nominated four times for the Tony Award, winning for Featured Actress in a Play for Redwood Curtain. She also was nominated for Picnic, Steel Pier andCurtains. She most recently appeared on Broadway as Big Mama in the 2013 revival of Cat on a Hot Tin Roof. 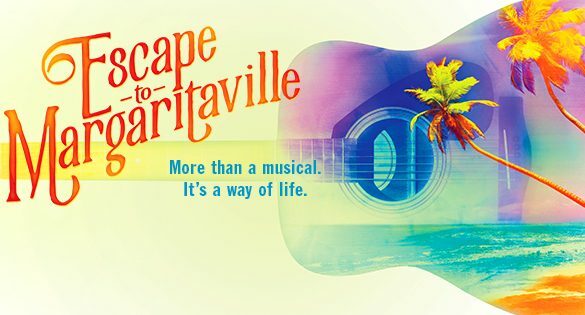 She is co-author of the classic Tony-nominated musical Pump Boys and Dinettes and Oil City Symphony. Monk has been featured in the television series Girls, Reckless, Grey’s Anatomy, Damages, Glee, White Collar, Good Luck Charlie, It’s Christmas!, Brothers & Sisters, Ghost Whisperer, The Closer, Desperate Housewives, Law & Order, Frasier and won the Emmy for her performance as Katie Sipowicz on NYPD Blue. Her TV movie appearances include The Music Man, Eloise at the Plaza, Ellen Foster and Redwood Curtain. Monk’s film credits include One for the Money, The Other Woman, The Great Buck Howard, The Savages, The Producers, Center Stage, The Devil’s Advocate, In & Out, Extreme Measures, The Bridges of Madison County, Jeffrey, Fearless, Reckless, Mrs. Winterbourne, Bed of Roses, Reaching Home and this fall’s This Is Where I Leave You.